We’re almost through the BBWAA awards; the next off-season deadline is one we talk about every year. According to my handy Off-Season Baseball Calendar 2015-16, teams have until tomorrow 11/20/15 to add players ahead of the rule-5 draft (which occurs the last day of the winter meetings (this year, 12/10/15 in Nashville). As always, using the indispensable Nationals resource sites Draft tracker and the Big Board, and then looking up candidate acquisitions made via trade, here’s some thoughts on who might merit protection. The quick Rule-5 rules; any college-aged draftee from 2011 or before who isn’t already on the 40-man roster is Rule-5 eligible this coming off season, and any high-school aged draftee from 2010 or before is newly eligible this year. Spencer Kieboom: no brainer to add; a catcher, getting noticed by scouts for his game-calling and defense, currently in the AFL. Brian Rauh: decent season, but still just a high-A/AA guy who had decent numbers this year. Robert Orlan: only mentioned because he’s lefty, and the team protected a college guy last year (Matt Grace) almost entirely b/c he was lefty. Ian Dickson: injured half the year, decent to ok in High-A this year, probably not a candidate to protect. I’m leaving out the following guys who are eligible but are not really protection candidates: Stephen Perez, Craig Manuel, Robert Benincasa, Derek Self, and Ronald Pena. For main reasons why, see my Statistical Review of the 2015 seasons of the 2012 draftees where I delve into each guy’s season and overall prospects at this point in their careers. Deion Williams, who (as I noted in my Statistical Review of the 2015 seasons of the 2011 draftees post) i’m kind of surprised still has a job in the organization. Not a protection candidate. Chris Bostick: acquired in trade but originally a HS 2011 draftee. Earned a mid-season promotion from High-A->AA, holding his own in the fall league in a probable Rule-5 consideration audition. Pedro Severino was probably the #1 candidate to be added to the roster ahead of this coming Rule-5 draft before the team just went ahead and put him on the 40-man along with the 9/1/15 roster expansion guys. Raudy Read: another up and coming IFA catcher who made his way to High-A this year, but may be a year too young to really consider protecting. Jose Marmolejos-Diaz: Took Hagerstown by storm, definitely getting some notice by prospect mavens and likely viewed as a big part of the farm system. Definitely needs protection. Gilberto Mendez, part time closer for Harrisburg this year but is undersized and doesn’t have the K/9 rates you’d like to see. But, given the dearth of RH relievers, maybe he’s worth protecting. Not mentioned: a whole slew of 2011 IFA signings throughout the lower levels of the system. Hector Sylvestre, Brian Mejia, Wilman Rodriguez, Anderson Martinez, Randy Encarnacion probably being the most notable/most accomplished in terms of advancement in the system. None of them are Rule-5 protection candidates. Minor League Free Agents of Note (this list is available at this link on BaseballAmerica). These are either original draftees of the Nats who have now played in our org for 6 years, or guys who were MLFA signings from last year, or guys who are randomly FAs despite being recent draftees. Jeff Howell: had pretty good success converting to the mound, moving up our system quickly in 2015. Is he worth protecting? Matt Purke: still can’t seem to solve AA, maybe its time to cut the cord. Matt Skole: I hold out hope that he returns to being the hitting force he once was for this team. But he may have peaked in AAA. Nicholas Lee: had a nice 2015, got sent to the AFL but has only gotten 4IP of work there. Could pull a “Matt Grace” and get added surprisingly given that he’s a closer-quality lefty reliever, but then again this team now has a surplus of such guys. Bryan Harper: see Lee but add a level: Harper was quite effective in AA and earned a late season promotion to AAA. Worth protecting? So, who would I protect? As of today (after yesterday’s outright of David Carpenter), the team has 5 open slots on the 40-man roster to work with. Thoughts? Opinions? Did I forget anyone and/or am I considering the wrong guys? These IFAs are always iffy in terms of eligibility, and some of the MLFAs are confusing too in terms of their status. Editor’s update; a mere hours after posting this, the team announced its protections and we were close. They protected Kieboom, Bostick … and Nick Lee. I guess I was being a bit optimistic on Marmolejos-Diaz; it is unlikely that a kid his age and having never played above Low-A would stick on a 25-man roster in this day and age. For a fun trip down memory lane, here’s the same Rule 5 Protection analysis for 2014, 2013, 2012, 2011, and 2010. 2013: Predicted Solis as the only lock (Souza already added). Mentioned in order Barrett, Taylor, Grace, Holland. Actual: Solis, Barrett, Taylor. Our 40-man is full and we have a ton of guys without options. Thus, the next logical step is to talk about who might get shed off the 40-man roster in order to protect incoming players ahead of the Rule 5 draft. This post is a bit earlier than we normally do it; Teams have until 11/19/14 to add players ahead of the rule-5 draft (which occurs the last day of the winter meetings (this year, 12/11/14 in San Diego). All these dates and more are on the off-season Baseball Calendar for 2014-15. But, because we’re talking about it, lets get into the analysis. As always, using the indispensable Nationals resource sites Draft tracker and the Big Board, and then giving some thought to prospect acquisitions made via trade, here’s some thoughts. The quick Rule-5 rules; any college-aged draftee from 2011 or before who isn’t already on the 40-man roster is Rule-5 eligible this coming off season, and any high-school aged draftee from 2010 or before is newly eligible this year. Brian Goodwin: Supp-1st round pick from 2011, paid like an upper 1st rounder, who has been a continual presence on top-100 prospect lists but who hit just .219 in AAA this year, didn’t play after July 1st, and has been clearly passed on the organizational OF depth chart by both Steven Souza and Michael Taylor. 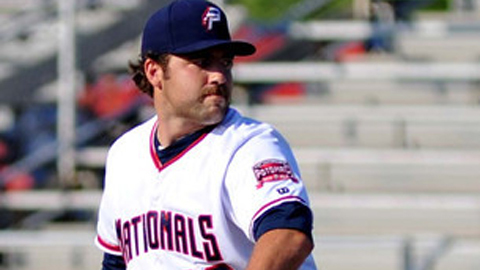 Do the Nats protect their $3M bonus investment and find room for Goodwin on the 40-man? I think they do. Matt Skole, 5th rounder who blasted his way into the Nats minor league hitter of the year in 2012, then suffered a freak injury in the 2nd game of the year in 2013, costing him a whole season. His OPS dropped more than 200 points from 2012 in 2014. He’s almost a 3-true outcomes kind of hitter (good power, a TON of strikeouts but a lot of walks). I’m in agreement with others; because of his lefty power and a distinct lack of lefty power elsewhere, I feel like he’s a potential future contributor. I’ve always liked Skole and hope we don’t lose him in a rule-5 gambit. There’s a whole slew of guys who were college draftees in 2011 who are still in the system. No one else has even matriculated to AAA yet, and some are still in high-A. The one name that sticks out as someone who “should” be in this conversation is 2011 4th rounder Kylin Turnbull. But no one else on this list merits any discussion for protection at this point. Just one: A.J. Cole. Who, it goes without saying, is a lock to get added. In fact, there was only one other HS draftee in that entire 2010 class who signed; Robbie Ray. Wilmer Difo: just named MVP of the South Atlantic league, occupies a position of weakness in the system. But would someone grab a guy from Low-A and expect to keep them on the 25-man roster all year? A couple of other 2010 IFAs who sometimes pop up here: Wander Suero, Wirkin Estevez. Minor League Free Agents of Note (it isn’t live yet, but this list will be at this link on BaseballAmerica eventually). These are original draftees of the Nats who have now played in our org for 6 years. They are basically guys who were drafted in 2008 and who have not yet been released or added to the 40-man. Or they’re MLFA signings from last year. Rafael Martin: frequently discussed here. Great numbers in AAA this year. Already 30. Not a rule-5 issue necessarily, but a jeopardy to sign elsewhere. Destin Hood: 2nd round pick in 2008. So much promise, finally posted decent numbers in 2014. Strategically, if you were Hood would you re-sign here though? He’s at least 7th on the OF depth chart by now. The whole Syracuse rotation: McGregor, Espino, Laffey and Lively. Along with Delcarmen, Stange and Runion. My initial impression is that the team’s going to have more than enough pitching to fill Syracuse’s rotation from those that aren’t going to make the MLB rotation (Cole, Jordan, Hill and Treinen to start, then throw in Rivero and maybe even Solis). So the starters likely are gone; maybe we could use some more MLFA relievers though. The only other 2008 draftees still hanging around are Jose Lozada and Paul Demny. I’m guessing neither signs with us for 2015. Matthew Grace: had an excellent year in AAA, as discussed many times here. Worth protecting? Neil Holland: a decent year between AA and AAA; he does not seem a jeopardy to get picked so the team can hold onto him for one more year before he hits MLFA. Did I miss anyone? I hope not. So, who would I protect? I would protect Cole and Skole for sure. I would highly recommend protecting Goodwin. Past that, I’d roll the dice. I like Grace and Martin, enough that I’d like to see how they look in the spring, but perhaps not enough to drop someone else. I like Hood; maybe they try to re-sign him. I think Difo is important, but they’ll risk not adding him since he’s only played at low-A. They’re already looking at dumping 2-3 people to cover the above names; any more and you’re really digging deep, even withstanding the whole “7 guys are out of options” discussion we just had. For a fun trip down memory lane, here’s the same Rule 5 Protection analysis for 2013, 2012, 2011, and 2010. (I’ve had this in draft form for weeks; might as well publish it now that the FA period has started). Before we get too deep into the off-season, I thought it’d be good to do a level set of what exactly this team is in the market for. Last year’s to-do list included a Center Fielder (Ankiel), a Right Fielder (Werth), a First baseman (LaRoche), a couple of Utility Infielders (Cora, Hairston), some veteran Starting Pitching (Gorzelanny), and some bullpen help (Coffey, Ramirez). Based on how the team has played down the stretch and watching some players rise and fade in September, here’s what I think the team’s off-season to-do list may look like. C: With Pudge leaving, Ramos and Flores seem set to be the 2 catchers for a while here. Flores is healthy but clearly inferior to Ramos right now both defensively and at the plate. We just added Solano and Norris for catcher cover in case someone gets hurt. 1B: LaRoche should be back healthy, and Morse has shown he clearly can play first if not, though that would lead to a hole in left field. 2B: Should be ably filled by Espinosa, or Lombardozzi if we move Espinosa to short (see next). SS: Desmond‘s one of the lowest qualifying OPS hitters in the league, but the team management loves him. I’m guessing he’s given one more season. Rizzo has already stated he’s not after Jose Reyes, and the Marlins seem set to over-pay him. 3B: Zimmerman isn’t going anywhere, despite some blogger’s statements that he should be moved. LF: We’re assuming that Morse is the starter in left. RF: As with Zimmerman, Werth is set to play right field well into the next presidency. SPs: Strasburg, Zimmermann, and Lannan seem locks to be in the rotation. We re-signed Wang for the #4 rotation spot. 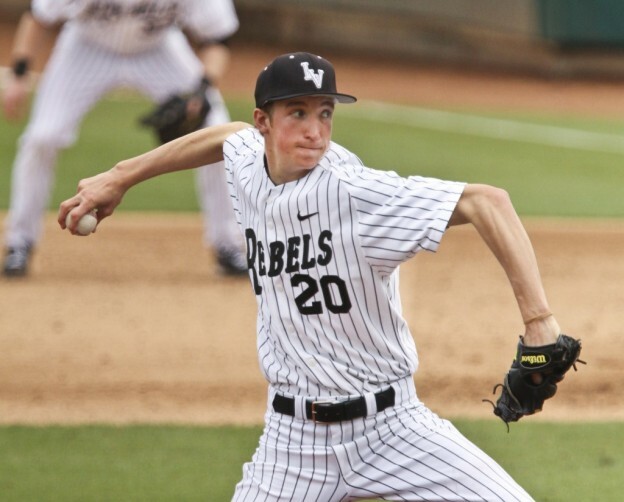 There’s some talk here and there about non-tendering Lannan; he’s a solid mid-rotation guy who is still under arbitration control who is underrated by most people outside of this area, and I believe it would be a mistake to cut him loose at this stage. Setup/Closer: Clippard and Storen managed to survive silly trade rumors this season and should be the 8th/9th inning tandem for at least 2012. Loogy: Burnett: He struggled at times in 2011. He’s also under contract for 2012 with guaranteed money. So he’s going to be back. He’s more than a loogy though, so we’ll look for the team to replace Slaten. Middle Relief: Henry Rodriguez and Ryan Mattheus look to return in their middle relief roles. Kimball will be on the 60-day DL until he’s proven to have regained his fastball. That’s actually a pretty large chunk of our planned 25-man roster (17 of the 25 are already accounted for, for the most part). Center Field: again, we go into an off season with questions about center field. Ankiel had a decent September but overall his 2011 offense was poorl. He does fit Rizzo’s defensive mind, but is he the answer? Perhaps this is the off-season Rizzo finally gets Upton or Span or someone of that ilk. Or perhaps we re-sign Ankiel to a holding deal, waiting for wunder-kid Bryce Harper to come up and take over. Or, perhaps the lineups that Johnson has been fielding in September featuring Morse in LF, Werth in CF and Nix in RF are telling enough that we can “get by” without investing in a center fielder for 2012. (I’ve got a very large CF-only post coming up, with lots more detail). Right-handed middle relief: we may have to go digging for one-year FA Todd Coffey types again, because Kimball is on the DL til probably July and Carr was flat out released in September. That’s it in terms of 40-man roster options for right handed relievers. An internal option could be using Peacock as a 7th inning guy in 2012; he’s shown he can bring it 95-96 and perhaps even higher in short term situations. The team doesn’t seem to trust either Balester or Stammen, meaning we need a one-year guy. Utility guys: we used Hairston, Cora, and Bixler as backup infielders. Hairston did a great job starting at 3B in Zimmerman’s absence; the other two were awful. So we need a couple replacements. Lombardozzi could fit in, but he’d be better served with a full season in AAA. Bixler was waived and claimed, so we’re almost guaranteed to go hunting on the FA pile. Backup Outfielder: Bernadina seems to have run out of chances with this team. Corey Brown has been god-awful in AAA this year and was assigned off of our 40-man to the AAA team. Nix and Gomes are FAs. We can’t possibly offer Gomes arbitration and guarantee him a $2M salary, and Nix can’t hit lefties. In any case, we look like we may need a backup outfielder from somewhere. Nix has been getting starts in RF (as mentioned above) down the stretch and certainly has enough power to feature 6th in a lineup. Perhaps he’s worth another year. The team was in preliminary talks on a 2012 contract with him but nothing official has been signed. Loogy: we could use a one-out guy, assuming that we need a 2nd lefty to Burnett. I’m guessing that Severino is not the answer, based on how little use he got in September. Or maybe he is. Certainly I’d prefer giving him a shot versus scraping the bottom of the reliever barrel again and finding another guy who performs as badly as Slaten. Starting Pitcher: We re-signed our own FA Wang, and continue to be in the mix for more of a marquee name like Buehrle and Oswalt. Do we need another starter? Signing either of these two vets will probably indicate team flexibility to trade some of our younger starting pitching cache of Detwiler, Peacock, and Milone, but also may end up blocking a guy who could be just as good for a fraction of the price. Long man: I’m guessing that we assign a long man from one of Gorzelanny (most likely), Detwiler (somewhat likely), Balester and Stammen (less likely). The team seems down on both the latter guys, who are probably destined for DFA when they run out of options. So, thats a somewhat big todo list. Some spots are clearly fill-able from within, but we’re still looking at a few acquisitions. Each year, major league teams face decisions on which of their minor league players require protection by placing them on the 40-man roster. The teeth of the rule5 draft have been removed somewhat from its original intent (designed to protect against wealthy and talent-rich teams from hoarding talent and preventing worthy major leaguers buried in the minor leagues) by virtue of a year’s extension on the time before players become eligible, and hence it is becoming rather rare that a rule-5 draftee actually sticks with the drafting team. That being said, the Nats will have a number of decisions to make this week, when the deadline to add players to the 40-man roster ahead of December’s Rule 5 draft occurs. Last year they added Chris Marrero, Cole Kimball, and Adam Carr. In hindsight all three were probably worthy additions. Adam Carr was released in September (surprisingly; the team probably could have snuck him onto the 60-day DL to start, and perhaps he would have accepted an assignment to AAA by virtue of his injury). The team got lucky that Brad Meyers got hurt and, despite being rule5 eligible, was not selected as too high of a risk. A number of the players that were clear locks to protect pre-rule 5 draft were called up during September roster expansion; so we don’t have to worry about whether or not the likes of Stephen Lombardozzi, Brad Peacock and Tommy Milone are going to be protected. Derek Norris; you never give up catcher depth. Tyler Moore; 2nd straight year of 30-homer production; could be a real hitting option for this team. Brad Meyers (2010 eligible but now needing protection); he showed enough at AAA that someone would take a flier on him. He’s not being mentioned as a 2012 rotation candidate right now, but he’s a valuable arm worth keeping. Erik Komatsu: trade bounty for Jerry Hairston. He’s another potential OF prospect that we wouldn’t want to give up. And not protecting him would mean we gave up Hairston for nothing. Jeff Mandel (2010 eligible but now needing protection). He’s the exact type of player that we really could lose, despite not being in any danger of getting drafted in 2010, by virtue of his MLB readiness and AAA experience. Corey VanAllen: he’s been skipped over two drafts previously, but his up-and-coming performance plus his being left-handed may lead to someone taking a flier on him as a loogy. Pat McCoy: for similar reasons to VanAllen, but slightly less so since he’s toiled in the lower-minors for a while. Josh Smoker: nice pedigree, and obviously a valuable prospect to this team, but no experience above A-ball. Not worth Protecting: Higley, Lozada, Guerrero, Curran, Demny, Souza, McGeary, McCoy, Arnold, and anyone else left that was 2010 rule5 or before (not too many of these guys). Some of the guys in this list are obviously valuable prospects to this team (especially McGeary) but have zero shot of being drafted in the major league phase of the Rule 5 draft, by virtue of having no experience above A ball. Luckily for the team, adding four names to the 40-man roster won’t require any other moves. Once all 8 of our FAs were removed and the 60-day DL guys added back in, we stand at 35/40 on the 40-man. Mark Zuckerman posted his own analysis on this topic today 11/15, and guessed Norris, Moore, Smoker and/or Komatsu. That being said, I did maintain the good/soso/bad all the way through the season, and did my best to keep up with the various reliever movements (my interest is mostly with the starters in the system). Now that the regular seasons are over, I’ll do a team-by-team review of the pitchers, the moves and where guys may/should start in 2012. Ideally this set of reviews should start with the MLB roster, but since the minor leagues are done, I’ll hit them up first. Syracuse’s rotation started the year with two guys who some thought could have made the MLB roster, two guys who were closer to the “organizational guy” title than a spot on the 25-man, and a relatively young up and comer who had been cruising up the organization under the radar. By the end of the year it held three of our better starting pitcher prospects to go with two guys who are not long for the organization. Syracuse starters. The rotation started the season with Maya, Detwiler, Mock, Milone and Stammen, with JD Martin as the season-long spot starter. Yuniesky Maya: failed to make the team out of spring training, was the opening day starter in Syracuse, but struggled for long parts of the season. Got a call-up and did not impress in Washington and sulked up on his return. Finished the year 4-9, 5.00 era, 1.24 whip and 98/28 k/bb ratio in 129 2/3 innings. 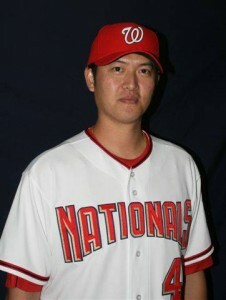 Outlook for next season: He probably can’t make the MLB rotation again, and probably returns to AAA for 2012. His fastball was never as good as advertised and he isn’t as good as countryman Livan Hernandez at getting guys out with control and guile. At this point, this signing looks like a failure. Ross Detwiler: Promoted mid-season just before the-all star break and has pitched considerably better in the majors than he did in AAA. In fact, there was some debate at the time of his promotion whether he was the deserving pitcher to come up. Final AAA numbers: 6-6, 4.53 era 1.49 whip, 63/32 k/bb in 87 1/3 innings. Outlook for next season: He’s officially out of options and can’t be assigned to AAA without passing through waivers. 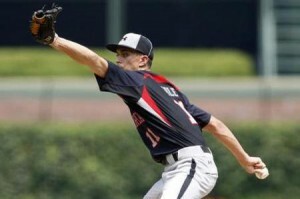 He WILL make the 2012 MLB team, likely as a #5 starter with an eye towards moving to the bullpen if he falters. Garrett Mock: started strong, then had two incredibly bad outings and went on the DL. His rehab travels around the low minors became some what of a joke, but when he returned he failed to impress, and was DFA’d in early September to make way for 9/1 callups to the majors. Final AAA line: 0-3, 6.28 era, 1.67 whip, 32/24 k/bb in 28 innings. His stats at all levels are worse. Outlook for next season: there are plenty of people who openly questioned why Mock occupied a 40-man spot for so long. I’m guessing he picks up with another team and tries to start fresh with a new organization for 2012. 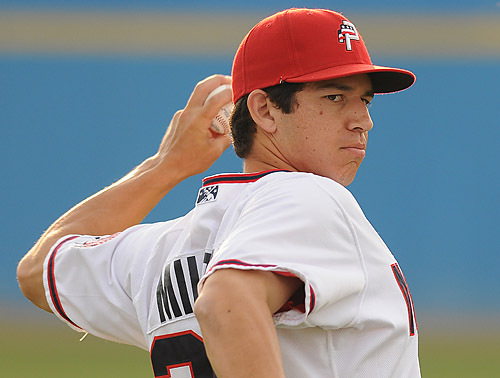 Tom Milone: posted his third straight 12-win season in successive levels and earned a pre-9/1 call up. He’s young, he’s lefty, and he’s got impeccable control. Final AAA numbers: 12-6, 3.22 era, 1.03 whip and 155/16 k/bb in 148 1/3 innings. Another great season for the Nats 2010 minor league pitcher of the year, an award he is in the running for again in 2011. Outlook for next season: He has 3-4 more September starts to audition for next year’s rotation. The big question with Milone is whether his 89-90mph fastball and control will be enough in the majors. I’m predicting he falls victim to a numbers/options status game and starts next year in AAA. Craig Stammen: all around nice guy never once featured in the team’s plans this year, officially crossing over from starter potential to organizational guy in 2011. He put together a decent season, tailing off in the end to sully his overall numbers, but was never threatening to get a call-up or another shot in the Nats rotation. AAA stats: 10-7, 4.75 era, 1.43 whip, and 127/40 k/bb in 142 innings. Outlook for next season: He becomes 2012’s version of JD Martin, the AAA-bound starter and innings eater. I think he’ll stay on the 40-man because he does have value, and has one option left, but after 2012 he’s a DFA candidate. Too bad, because he’s a good-guy and deserves better. Brad Meyers: earned one of the first promotions of the season after recovering from injury and dominating in his first few AA starts. He struggled upon first arriving at AAA, hit the DL briefly, but finished strong. Final AAA numbers: 6-5, 3.48 era, 1.31 whip and 74/15 k/bb in 95 ip. Outlook for next season: I think Meyers gets added to the 40-man roster ahead of the Rule-5 draft for protection, but he is at least 7th in the starter pecking order (Strasburg, Zimmermann, Lannan, Detwiler, Peacock, and Milone) right now, so he starts in AAA. Brad Peacock: Peacock absolutely dominated AA, to the point where it was long past the time to promote him when he finally was moved to AAA. He had two rough starts but more than a few great ones, and finished AAA with a 5-1, 3.19 era, 1.25 whip and 48/24 k/bb in 48 innings. On the season his minor league numbers were fantastic and earned him the organization’s Minor League Pitcher of the Year; 15-3, 2.39 era, 177/47 k/bb in 146 2/3 total innings. Outlook for next season: He’s very young (only 23) and certainly could use another year of seasoning in AAA. He may end up competing for the #5 rotation spot with Milone, unless a new starters comes in via trade or FA. On the other hand, if he doesn’t master his secondary pitches he’ll be destined for the bullpen, and Rizzo loves hard-throwers in the pen, so I could see him featuring as a righty out of the bullpen next season. We’ll see. JD Martin: Outrighted before the season and then signed a minor-league deal, Martin was AAA’s long man/spot starter. He ended up with 14 starts and pedestrian numbers on the season: 3-7, 3.93 era in 30 appearances. His fate was sealed in January when he was outrighted and nobody else sniffed; he’s a soft-throwing righty who is a good AAA pitcher until his spot is needed. Outlook for next season: he could be back in the same role he was in this year, unless a numbers game forces his release. Other guys who got spot starts here and there (non-rehab): Erik Arneson (started in AAA then was dumped to AA despite 3 decent starts. See the AA post) and Ryan Tatusko (pitched mostly in relief with 2 AAA spot starts after a mid-season promotion). See the AA post for thoughts on Arneson and below for Tatusko. Syracuse Relievers: taking a look at the relief corps at the end of the season. Relievers Cole Kimball, Ryan Mattheus and Collin Balester were each promoted up at various points during the season and each performed pretty well at the MLB level. Outlook for next season: Kimball may start 2012 on the DL post surgery. Mattheus should earn a bullpen spot after pitching well. Balester’s spot is more tenuous; he’ll be out of options and has not really impressed at either level in 2011. I’m guessing he’ll lose out in a long man competition to someone like Tom Gorzelanny and get a DFA at the end of spring training 2012. Local Favorite Josh Wilkie served as the AAA closer and put up good numbers; 3.13 era, 1.36 whip, 57/21 k/bb in 60 1/3 innings pitched. Outlook for next season: He’ll get a spring training invite but seems destined to return to AAA to wait for injuries or an opportunity. Athualpa Severino got a 9/1 call up and finally featured in a MLB game, showcasing a big fastball for a little guy. Outlook for next season: He’s a little old for a prospect (27) but could feature as a LOOGY in 2012, especially since the team is so thin on that particular speciality. Everyone else (Mandel 26, Zinicola 26, CGarcia 26, Hyde (L) 26, Tatusko 26) in the AAA bullpen seems destined to be organizational guys, unfortunately. Jeff Mandel passed through waivers and toiled decently this year. Zech Zinicola was a rule-5 draftee who got returned and put up great numbers, but seems to be a AAA ceiling guy. Christian Garcia didn’t have great numbers in the Yankees organization but the team took a flyer on him. Lee Hyde has already passed through waivers successfully and was more or less awful in 2011. Lastly Ryan Tatusko regressed badly in 2011 after a stellar 2010. He was demoted to the bullpen and pitched mostly in relief for AAA this year, getting a couple of spot starts that he was just “soso” in. Outlook for next season: All these guys will be back in AAA or with another organization, trying to keep the dream alive. Other pitchers who appeared in AAA of note (not including Rehabbing MLBers): Hassan Pena pitched 7 horrible innings and was demoted. Matt Chico was similarly bad and was DL’d/demoted before getting released. Philly castoff JC Romero had 16 appearances and pitched well before opting out of his contract because the team hadn’t promoted him (a surprise, given our loogy struggles this year). A year after Adam Carr was put on the 40-man to protect him, he was flat-out released after an injury riddled season (lets hope the team re-signs him and he gets another shot). 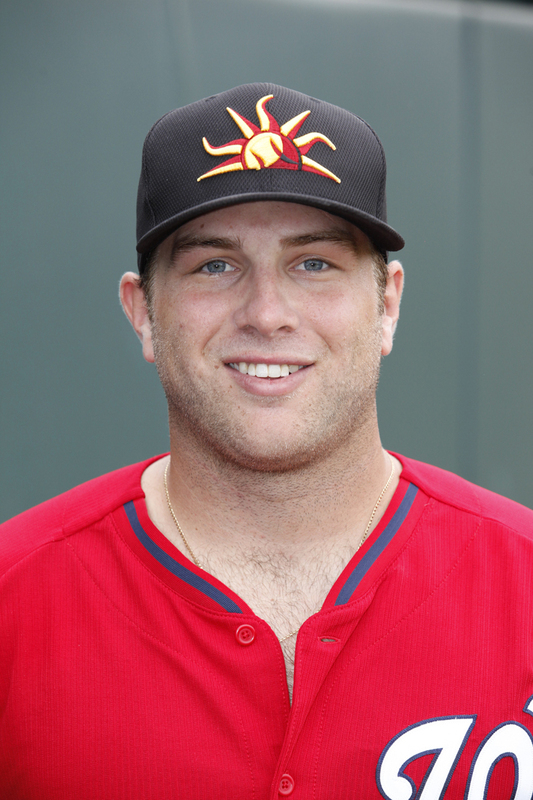 Both Evan Bronson and Carlos Martinez put in brief AAA outings before returning to their normal teams. Lastly I put in Ron Villone as “missing” because he was in our Spring Training camp but never made it onto any roster. We didn’t necessarily hear any announcement, but I suspect he retired after not making the team out of camp. After reviewing all the staffs at each level, I’ll cull the above predictions into a summarized 2012 projected staff throughout the system. After seeing last cycle’s debut of Tom Milone, this cycle will feature two interesting milestones for the team. 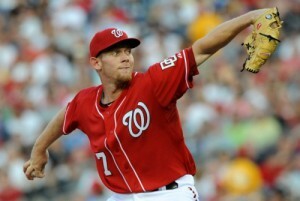 Livan Hernandez‘s final start of the season comes first, then the long anticipated 2011 debut of Stephen Strasburg. Lastly, this cycle got cut short due to the Monsoon of 2011 (aka, Raingate?) and Ross Detwiler got skipped so as to keep the wunder-kid on his regular rest and home-grown schedule. I wonder how that is playing in the clubhouse… Technically Milone took over the #5 spot in the rotation initially, but the insertion of Strasburg into the #3 hole made for one cycle of 6, that is until Detwiler got skipped. So as of now the rotation is going Milone-Lannan-Strasburg-Wang-Detwiler. John Lannan looked shaky at the beginning of his labor day 9/5 start (box/gamer) but settled down decently enough (aided by a 4 run, 3 homer first inning by his offense) and got the win against the Dodgers. He only went 5 1/3, surprisingly getting yanked after giving up a 1 out single in the 6th. He was high on the pitch count at that point (94 pitches) but it was still a quick hook in this opinion. He gives up one run on 5 hits with 2 walks and a handful (4) of K’s on the day. Lannan is an interesting case; he continues to be solid (3.48 era on the season) if not flashy. Stephen Strasburg‘s 2011 debut on 9/6 (box/gamer) may not have been the amazing 14-K performance he showed during his MLB debut in 2010, but it certainly was as good as we could possibly expect. See here for more details. Livan Hernandez‘s last start of the season (and possibly his last in a Nats uniform), showed why his position on the team is really in jeopardy. He put in yet another sub-par performance leading to an easy win for the Mets on 9/4 (box/gamer). 5 1/3 innings, 8 hits, 6 runs. For a team that averages only 3.84 runs a game, you just can’t have a starter who gives up 6 in 5. That being said, i’m definitely advocating the team keep him around for 2012. Chien-Ming Wang put in another 6 inning start in the midst of the monsoon of 2010 on 9/8 (box/gamer), giving up 4 runs early before retiring 10 of the last 11 batters. He was bailed out by the offense and got a no-decision. Wang’s early troubles were chronicled by Adam Kilgore here, noting that since his surgery Wang isn’t warming up until he’s been on the mound for a couple of innings, leading to his frequent pattern of giving up early runs but finishing strong. The team is eventually going to have to figure out which Wang they have when it comes time to decide whether to try to bring him back for 2012. Starter Trends (2nd half only). Livan ends on a bad note, but his up-and-down performances could have predicted it. Lannan continues to chug along. Strasburg was fantastic. Wang is consistently mediocre, as noted. Detwiler has slipped after a couple of good outings, and Milone needs to improve on his debut. “Negotiations” are already being talked about with Livan and the team for next year. WT’s Amanda Comak does some good dollar/per win or /per inning research here, and comes to the same conclusion that I have had for a while; Hernandez is a total bargain on the FA market for what he can give … if you can put up with the occasional (frequent?) blowups. Lots of 9/1 call-ups are came a few days after the actual September 1st date, with arms Stammen, Severino, Peacock, and Maya joining position players Lombardozzi and Brown. Peacock and Lombardozzi require corresponding 40-man moves, and (based on past research) we may be seeing a DFA in the next couple days. Update: I was almost correct with the required moves to make room for the new guys to the 40-man roster, with the Nats transfering Kimball to 60-day DL. The team (finally, in the eyes of many) DFA’d Garrett Mock, a not-entirely unexpected move. The surprise was the outright release of Adam Carr. I thought at least the team would recall him and 60-day DL him, and the unconditional release is somewhat surprising. Clearly Davey Johnson has been given an edict to “play the kids.” But his use of “the kids” in the 9/6 game was, well, a bit frustrating. He brought a starter in (Brad Peacock) for his MLB debut in a 2-on, one out debacle left by Doug Slaten. He brought in a hitter (Corey Brown) for his Nats debut in a pinch hitting, bases loaded situation against a Dodger fireballer. Is he setting these guys up to fail? I completely agree with Capitol Baseball’s assessment of the situation, published here. Kilgore and other beat reporters noted that Wang’s incentives are almost certain to kick in to the tune of an additional $1M by the end of 2011. Davey Johnson has already called for them. Jordan Zimmermann‘s innings limit necessitates one of them. Livan‘s woes beg for one of them. Who are they? Starting Pitching prospects. And when the calendar hits September 1st, the day MLB rosters can expand, we should be seeing a few of them make their way to the Nats roster. We’re probably going to see guys already on the 40-man make appearances (Chris Marrero? Corey Brown? ), but who else? But, the signings of Anthony Rendon and Matt Purke filled the two empty slots on the 40-man roster created by the trades of Jerry Hairston and Jason Marquis. 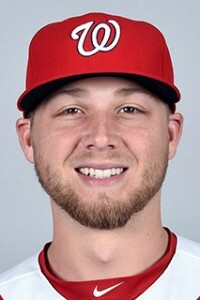 So if you believe reports that the Nats are calling up the likes of Steve Lombardozzi, Brad Peacock and Tom Milone (in addition to adding Stephen Strasburg back to the active roster for a September 6th or 7th re-debut), then we’ve got some 40-man moves to make. Here’s my predictions on how the team will make room for 4 new 40-man players (remember, Strasburg is currently on the 60-day DL and does not count towards the 40 active players on the “40-man” roster). 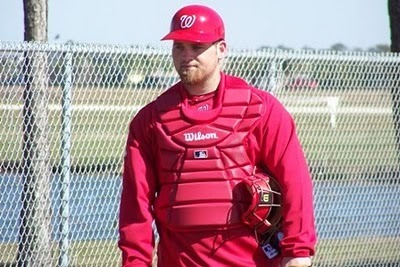 Move Adam LaRoche and Cole Kimball to the 60-day DL. These are procedural moves that could have been done weeks ago, but the team hasn’t had the need. Both are clearly done for the season and can easily be moved off. Move Doug Slaten to the 60-day dl. We’ve heard very little news on Slaten since he was put on the DL, which means he’s probably not featuring in the team’s plans for 2011 and can be moved off the 40-man. We may end up flat out releasing the guy too; he performed so badly this year in terms of WHIP and allowing inherited runners to score that the team certainly would go looking elsewhere for a loogy. Update: he’s just starting to do rehab stints now; I’m guessing he’ll just be released upon finishing his rehab, as we did with Chad Gaudin. Re-call Adam Carr to the majors, then 60-day DL him. He’s been out since June and this procedural move would mean that nobody needs to be released. We can add all these 60-day DL guys back to the 40-man once all our free agents and non-tenders go through. If there are other non 40-man guys to consider adding, I don’ t know who they may be at this point. Brad Meyers may be reaching an innings limit (based on analysis of his usage in AAA). There don’t seem to be any relievers in AAA (Mandel, Wilkie?) worth calling up. We have 2 catchers active and a third (Pudge) getting ready presumably to come off the DL, so we’re set there. Who would get dumped off the 40-man if we needed to make space? The leading candidate would have to be the enigmatic Garrett Mock, who has put up startling bad numbers at various levels this year. Atahualpa Severino is another candidate; having spent 2 full years on the 40-man with exactly one day in the majors.